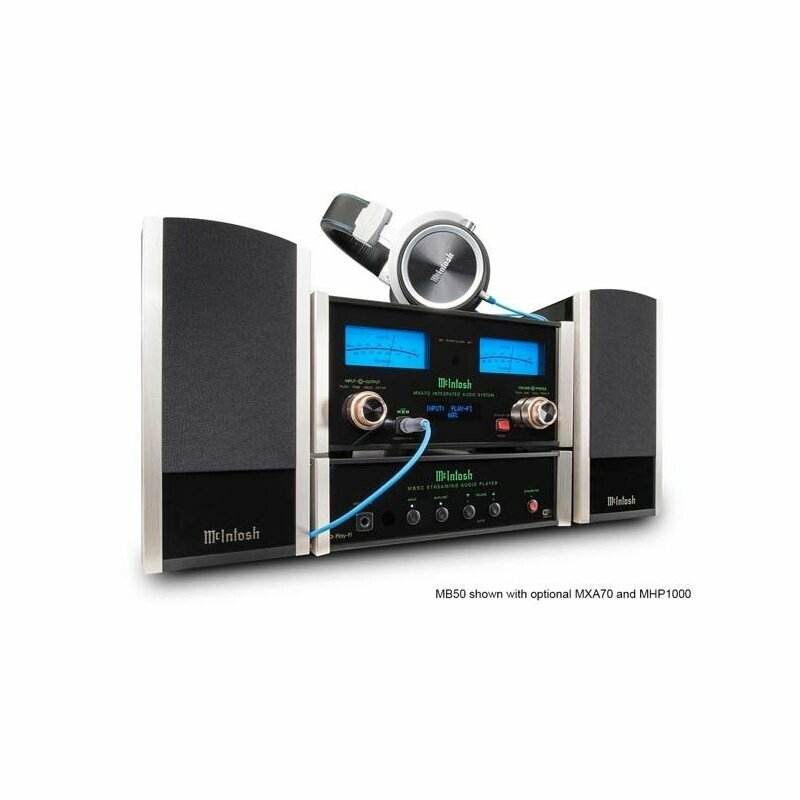 To set your music free, simply connect an MB50 to your audio system and Wi-Fi network, download the Apple or Android mobile app or Windows desktop app and then you're ready to stream. Besides accessing your personal music library, the apps have built-in support for many leading online streaming services1 including Amazon Prime Music, Deezer, KKBox, Pandora®, QQMusic, Rhapsody®, SiriusXM®, Songza, Spotify® and TIDAL (subject to change), letting you enjoy your streaming music on any speakers in any room in your house. 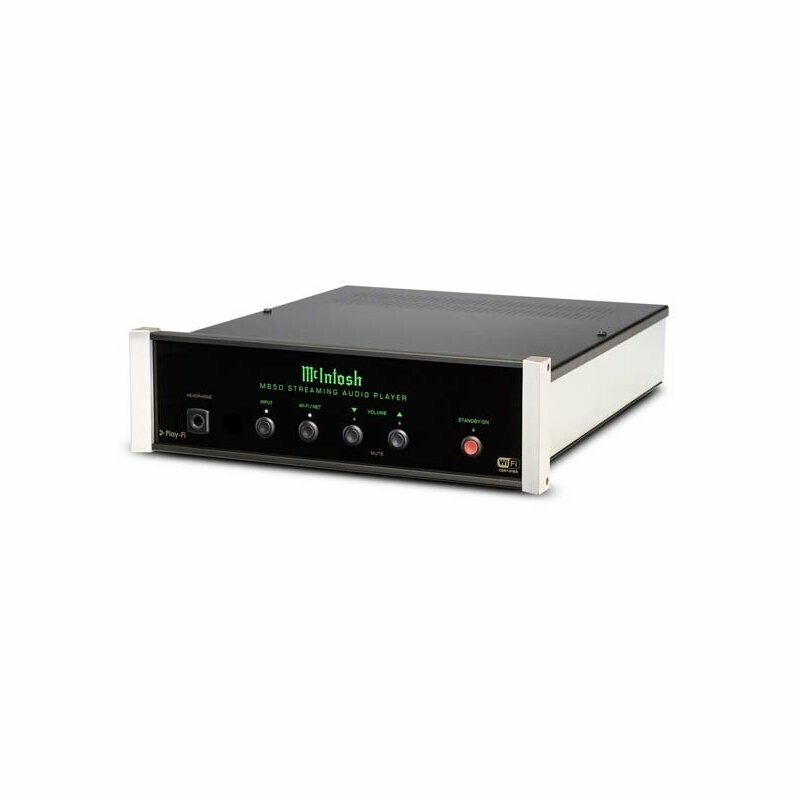 Analog outputs for both balanced and unbalanced cables connect the MB50 to your system's amplifier or preamplifier; digital outputs are also included. An analog plus two digital inputs let you connect audio components such as CD playersto the MB50, allowing it to act as a mini-preamp. 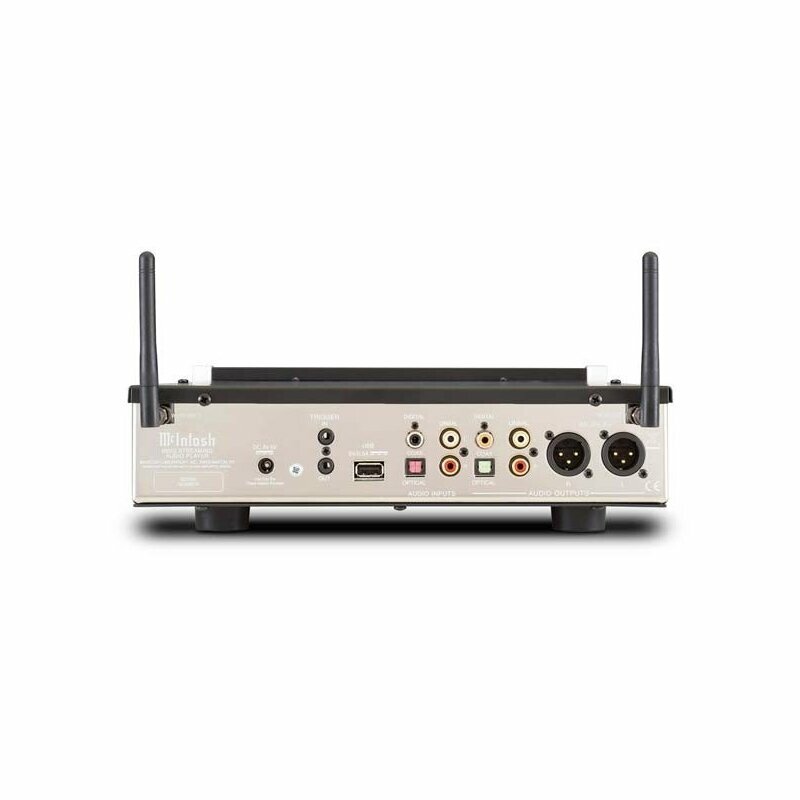 Two Wi-Fi antennas help ensure a strong network connection for smooth playback; the MB50 can be hardwired to your network via a USB-to-Ethernet adapter (not included). 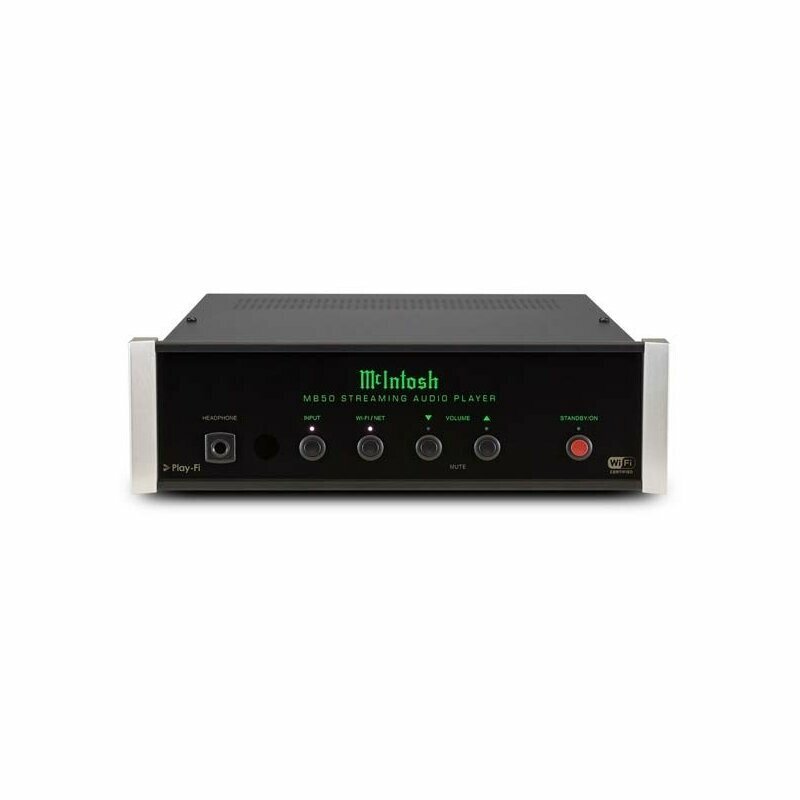 A big advantage of DTS Play-Fi compared to many other streaming options is that it provides lossless playback of up to 16-bit/48kHz files; it also has playback support for high-resolution music files up to 24-bit/192kHz. 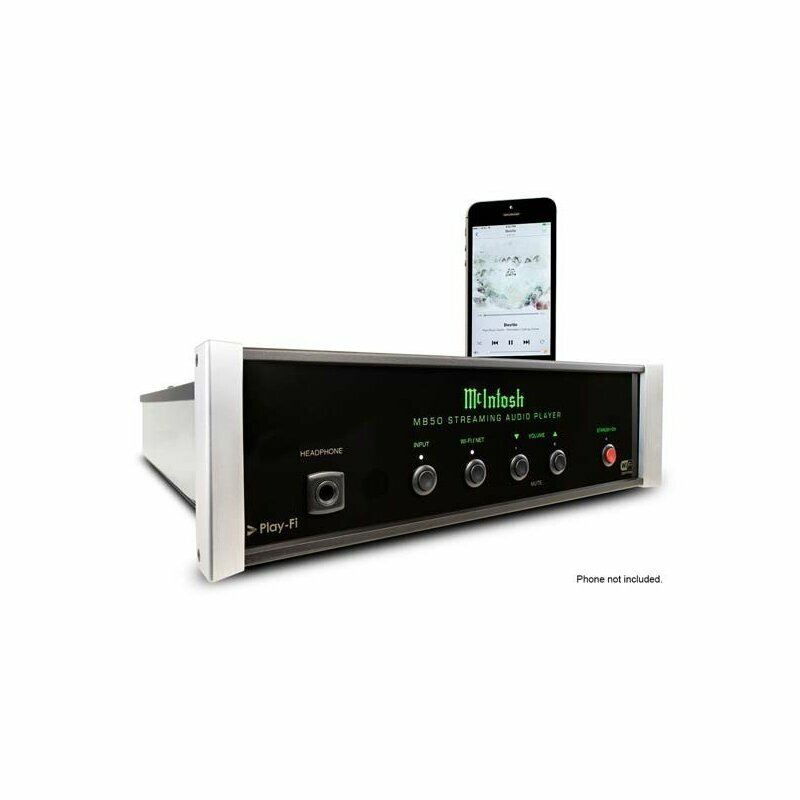 Many common audio formats are compatible with the MB50, including .mp3, .m4a, .flac and .wav files; DLNA is supported. The classic black glass front panel, stainless steel chassis and custom machined brushed aluminum end caps make the MB50 an eye-pleasing addition to any audio system. 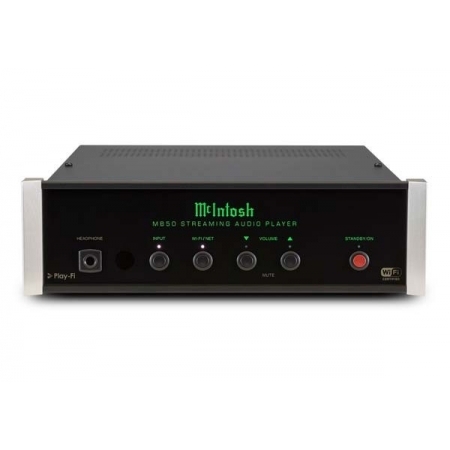 It is sized to perfectly match our MXA70 integrated audio system and MHA100 headphone amp (each sold separately) to make a complete streaming solution.